In Hock Soon Farm, volumes speak results. Equipped with a fully-operated feed mill with a production capacity of 8000 tonnes/day, our farm now has six silos – three 1000 tonnes and three 500 tonnes. Our mill is equipped with two fully computerized systems whereby one is kept on standby for back-up use in case the other breaks down. Our current capacity for production has reached 1.2 million eggs daily – a significant performance achievement 30 times greater versus the 30,000 we used to churn out back in the 70s. Founded by Mr. Ong Kim Hock in the state of Selangor with just a few hundred hens producing a small number of eggs a day. Assisted by his sons – Ong Boon Leng, Hock Soon builds another layer farm in Bidor, Perak with production capacity of 30,000 eggs / day and continued the expansion process. 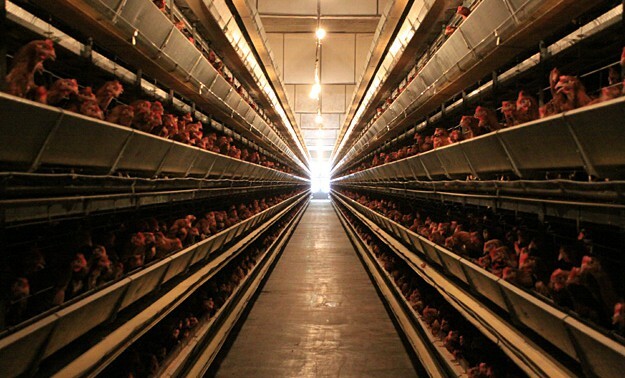 Egg production reached 180,000 / per day. Foreseeing that traditional labor intensive open house system would pose a limitation for layer farm to grow bigger, Mr. Ong Boon Leng embarked on several years of surveys and research to explore new innovative systems to enhance and expand farm production. Hock Soon made its technological advancement in egg farming by deploying a new and innovative automated closed-house system from German to further expand farm production to 300,000 eggs daily. A fully computerized feedmill with production capacity of 5,000 mt was build to cater the need for the fast expanding egg production. Mr. Ong Hong Hui joined the Management Team and further accelerated the company’s development pace with his expertise in business administration, finance and computerization. Hock Soon ceased the operation for all traditional open-house in year and the farm transformed into a fully automated egg production complex. Hock Soon was accredited by the Department of Veterinary Services as a ‘Good Animal Husbandry Practitioner (SALT)’ in recognition of its continuous efforts in implementing Quality Assurance Practices and dedicated veterinary and poultry health services. To contribute to preserving the environment, Hock Soon started a fermentation organic fertilizer plant to treat poultry manure and transform waste into environment-friendly fertilizer. Hock Soon completed its final expansion of farm production to 1.2 million eggs a day. Planning for a second 1.2 million eggs production complex is already underway.